Caroline first became involved with Slow Food when she trained as a chef at the world-renowned Ballymaloe Cookery School in County Cork, Ireland. The experience at Ballymaloe and the Slow Food philosophy have continued to influence Caroline’s approach to food and cooking using simple, seasonal and good quality ingredients. After Ballymaloe, Caroline chaired the Slow Food Convivium in Edinburgh and has since been involved in many Slow Food campaigns. She was one of the UK delegates at Terra Madre Salone del Gusto in 2014. Caroline is passionate about food education and equipping people with the skills, confidence, and knowledge that they need to cook for themselves. She has taught cookery classes in Edinburgh and been involved in many community food projects using her culinary skills and experience with project management and communications. 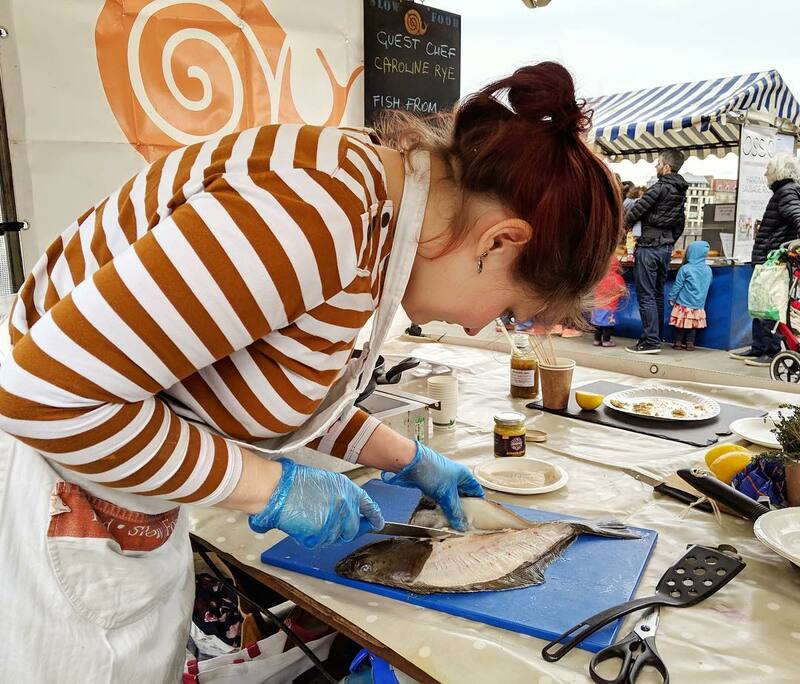 Caroline has worked as a chef and freelance food writer, as well as working in the seafood industry where she developed seafood recipes for the UK market. 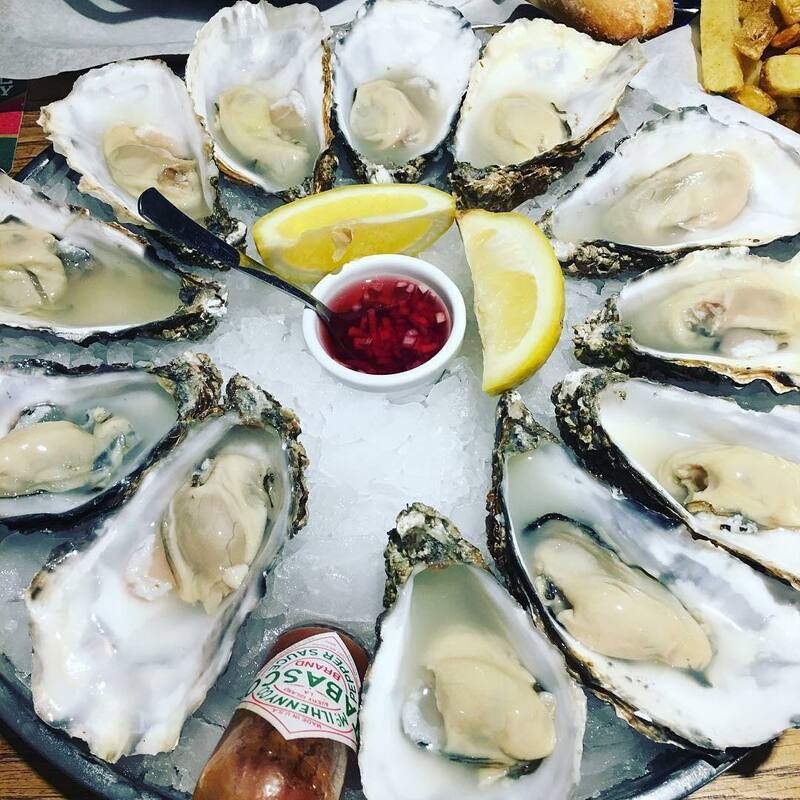 It was this experience that led her to set up her business The Urban Fishwife, providing seafood content and consultancy, alongside teaching, writing, private dining and all things seafood. Caroline is passionate about the Slow Fish campaign and getting more people to eat more sustainable fish and shellfish. Scotland and the UK have a heritage of smoked and potted dishes, many of which have now fallen out of favor. Smoked fish like mackerel and herring were once commonplace on dining tables across the land, however, there are only a few smokehouses still operating and smoking in a traditional way. Dulse seaweed is aboard the Ark of Taste; it is a wild seaweed growing on the North Atlantic coast of Britain and was part of the Scottish coastal diet for centuries. Rich in vitamins and minerals, it is a versatile ingredient that can be used fresh or dried. 1. Peel the skin off the mackerel and place the fish in a food processor. 2. Add the crème fraiche, half the lemon juice and the chives. Pulse to the desired consistency (smooth or chunky), adding more lemon juice if required. 3. Add a few twists of pepper and a few pinches of the dulse. Pulse again and add a little more of both if you like. 4. Melt the butter in a small pan. Place the mackerel mixture into small serving dishes or ramekins and flatten the surface little with a spoon. Pour the butter over the pâté in each ramekin and sprinkle some of the remaining dulse over the top. 5. Refrigerate till the butter is set and it is time to eat. Serve each ramekin with a garnish of capers and chili flakes, toasted sour bread, salad leaves and a wedge of lemon.